EAG Laboratories wants to be an integral part of your hardware development team. Any device, be it a 3 point LED test structure or a 4000-point ASCI device requires an understanding of the customer’s needs and we know that not all PCB design projects are created alike. We believe each project should be met with the utmost care and consideration by providing our customers with the best possible solution to their testing needs, using hands on design and engineering. We believe that it is our first priority in taking your point of view in both standard and custom hardware requirements. Ongoing design reviews allows our customers current, progressive board applications. Flexibility and understanding the individual customers need sets us apart from our competitors. We apply the same high quality design, testing, and production to each piece of hardware we deliver. We carefully inspect all dimensions, electrical parameters, and quality of every step of the process. For you, we give full technical support, customer service and suggestions when required. 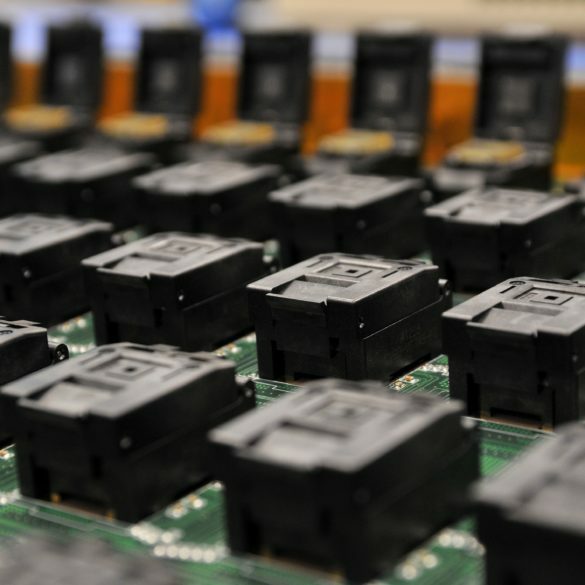 In addition to reliability test hardware, we offer complete custom PCB design and fabrication, cabling solutions and any technical proto or small production run assemblies you may require. While pricing and service will continue to be the name of the game, we will offer you the best possible solution in both categories. Allow us an opportunity to quote and build a hardware project to show you what a difference our team can have on your project! Our goal will be to provide you with the best possible solution to meet your needs with the best possible pricing. With this in mind you will find confidence and understanding in providing you with our services.